And feel again the freedom of the land below the waves. 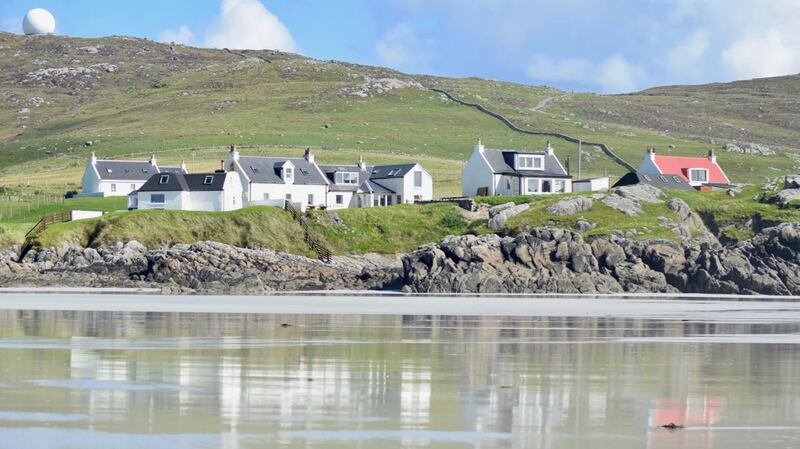 We have just returned from a long weekend visiting family on the mainland. 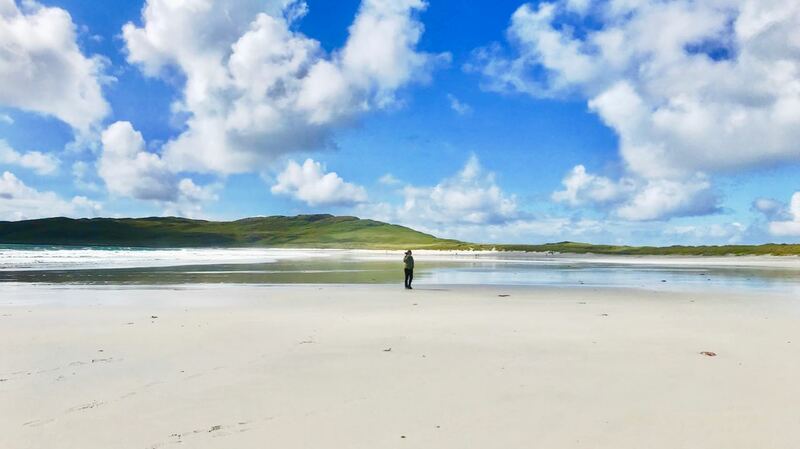 This afternoon it felt as if we were really back on the Isle of Tiree. Faces have an after-glow from this afternoon’s sunshine. We walked the full length of Balephuil beach. And the sound – the great Atlantic Roar! The journey from Glasgow to Oban is through Highland Scenery. Sadly on this occasion everything was shrouded by low cloud. For most of the time It was either misty or heavy downpours. The one highlight was the train from Falkirk to Glasgow. 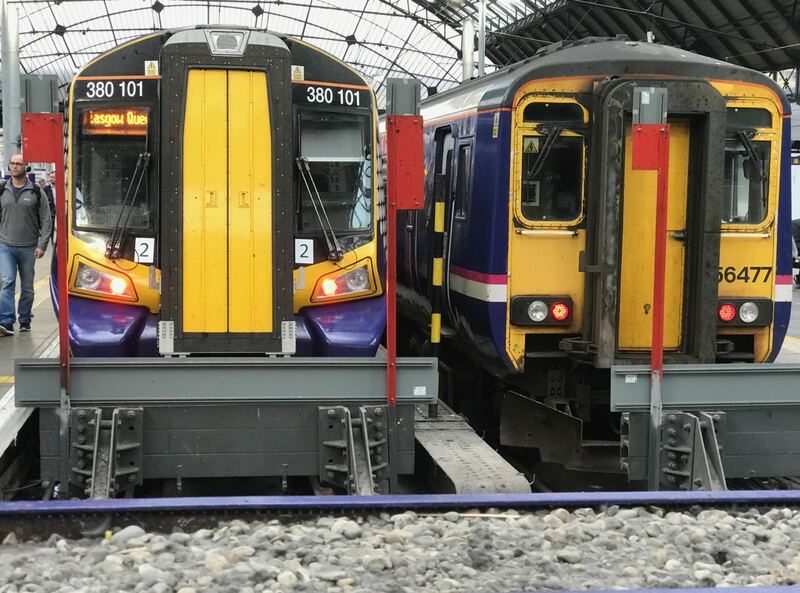 We travelled on one of the new electric trains. 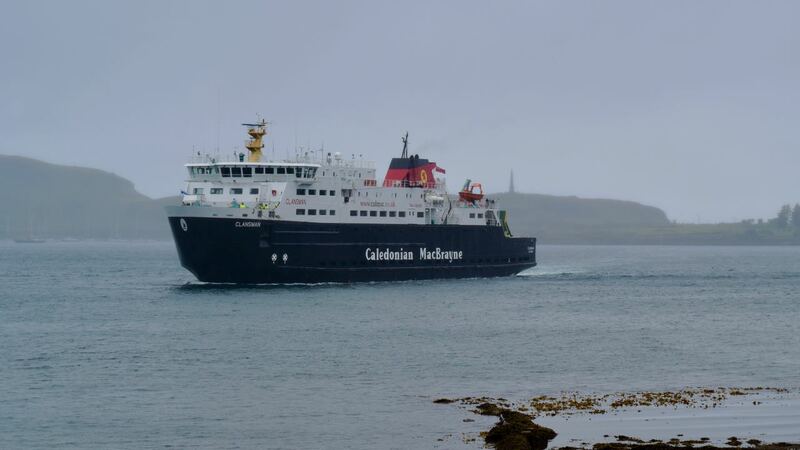 The sail from Oban to Tiree was on board the Mighty ‘Clansman’. The weather continued dull with an occasion glimpse of blue sky. At times visibility was so low that you could hardly see other vessels. As we left Oban Bay the Northern Lighthouse vessel Pole Star was at work. She was servicing one of the navigation buoys in the narrow channel. As we drew close to her the sun made a brief appearance. 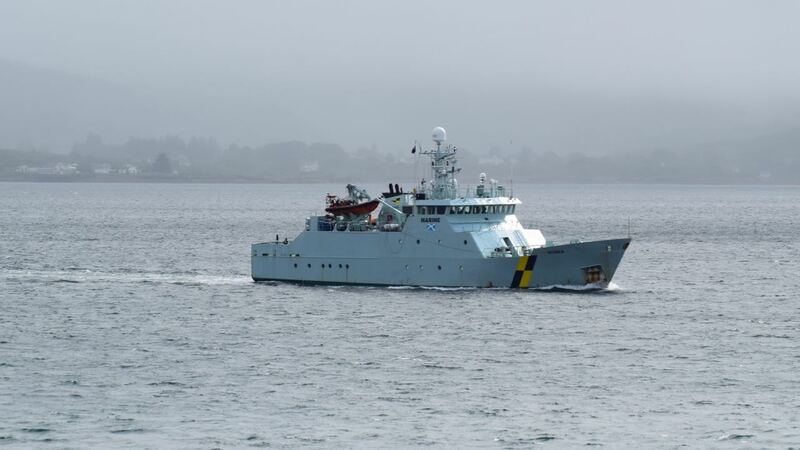 In the Sound of Mull we overtook the Fishery Protection vessel ‘Minna’. She was a grey vessel set in a grey sea and landscape. Yet seeing well-kent faces and fiends brought colour. And you know that you will soon be home. The following morning had two important appointments. The first was to see the progress on the final touches to the Skiff. The other was to photograph an Armadilla Pod arriving on Tiree by Ferry. It was also interesting witnessing its installation at its new home in Scarinish. Weather-wise, it had been another dull day, with occasional showers and gusting wind. With a stiff breeze blowing, we went to see the ferry come through the Gunna Sound. However, the Clansman’s approach to Gott Bay was even more dramatic. The colours of the vessel contrasted with the sea and the spray. Wednesday evening drew to a close with a strong hint of a Tiree sunset. Perhaps Thursday would dawn with sunshine. Perhaps we would have a brighter day. So to Thursday afternoon and a walk in the sunshine along Balephuil beach. The sound of the Atlantic roar was a reminder we were home. The tide was out and the waves were a sight to behold. In the distance (12 miles away) was Skerryvore. A Yellow Plane flew overhead. This was not normal for a Thursday afternoon. “Blue sky but was it an air ambulance? What a beautiful afternoon it proved out to be. As we well know it can be wet, windy and wild. It is good to visit friends and family. However, it is a joy to hear once again that great Atlantic Roar.